DJ Kool Herc was the earliest major figure to emerge from the mid-70’s Bronx, New York music scene that would eventually come to be known as Hip-Hop. Born Clive Campbell in Kingston, Jamaica, Herc immigrated to New York City and was exposed at an early age to both American and Jamaican musical traditions. 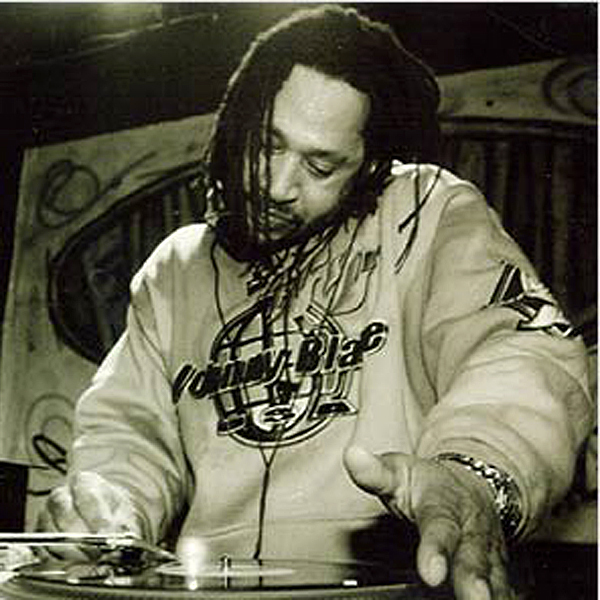 Influenced by soul, rock, funk, reggae and dancehall, DJ Kool Herc staged parties that spawned a global youth culture, rooted in the African American experience. As a teenager Campbell borrowed his father’s massive sound system to throw block parties that brought together his west Bronx community, often until dawn. DJ Kool Herc didn’t invent hip-hop’s musical aesthetic as much as he unearthed it, buried in the drum breaks of soul and funk records. Realizing that dancers became most energized during the parts of songs where the sole instrumentation was percussion, Herc used two copies of the same record to endlessly loop a beat, driving the dance-floor crazy. During performances, to further excite the crowd, Herc’s crew of hype-men, in the style of Jamaican dancehall toasting, would recite rhymes over the microphone, pioneering the art of rapping. These innovations would gain Herc notoriety across the five boroughs, leading him to club performances around the city for a wide spectrum of audiences. Though his contemporaries, most notably Grandmaster Flash and Afrika Bambaataa, would improve on Herc’s advancements, DJ Kool Herc stands as the originator, without whom an entire generation would lack a soundtrack. Jeff Chang, Can't Stop, Won't Stop: A History of the Hip-Hop Generation (New York: Picador Press, 2005).